Four years ago, New Order mining permits went on sale for the first time. They were popular from day one. And they were affordable, too, priced at an insanely reasonable 10 million isk per year. 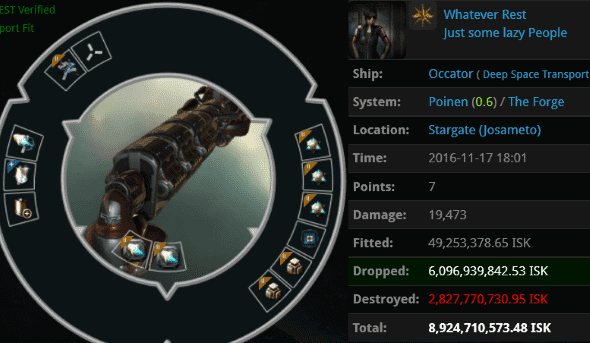 Even so, rebellious carebears have scoffed, arguing that for some players, 10 million isk is too expensive. Obviously those carebears are wrong. Today, let's look at just how wrong they are, by comparing a 10 million isk mining permit to its alternative: A crushingly expensive loss, like these examples from the week of November 13th @ 00:00 EVEtime through November 19th @ 23:59 EVEtime. I guess someone told Revan that Procurers have a good tank. 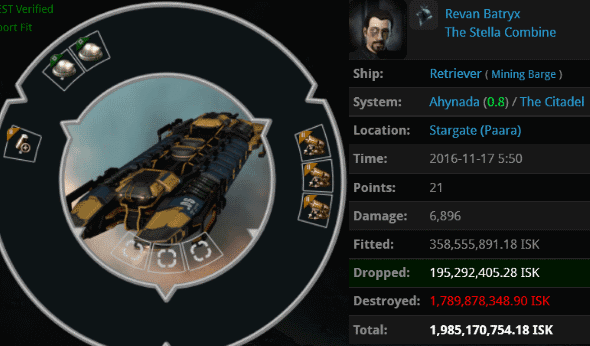 It's no surprise that Whatever Rest found a home in the Just some lazy People corp. She lost 8.9 billion isk, a feat rarely achieved by sub-freighter hauler pilots. Agents Australian Excellence, Tax Collector Emile, Tax Collector Richard, Taxman Daniel, and Lul GitGud Kid weren't put off by her semi-tanked ship; they came to play. They blapped the Occator and scooped 6 billion worth of loot. Do you find this shocking? You should. A set of five mining drones worth 6 billion isk... The display of decadence is almost beyond belief! It's bad enough when people don't tank a billion isk freighter, but imagine having a mining drone worth the same amount. It's an open invitation for gankers--or those who devise creative means of scooping another player's drones. 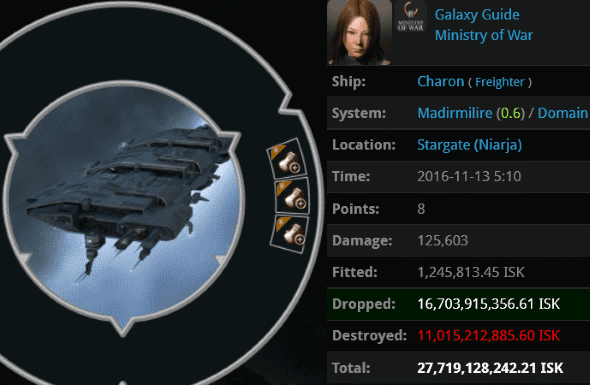 Galaxy Guide had over 25 billion isk worth of illegally mined ore compressed and ready to go. Despite her name, she lacked the one guide to living in the EVE galaxy that really matters--the Code. She was doomed from the moment she undocked. Agents BoneyTooth Thompkins ISK-Chip, ZAKURELL0 LINDA, Fabulous Andy, Morrigan Laima, Ampelius Loukianos, Ilsanore Lea, The O'Reilly Factor, Ricki Lake Show, Lawrence Lawton, Liz Cadelanne, Ayatola Whoami, Justinian Ganglious, James Poddington, Hulk Poddington, Mack Poddington, and Explosive Mooses merely helped her fulfill her destiny. 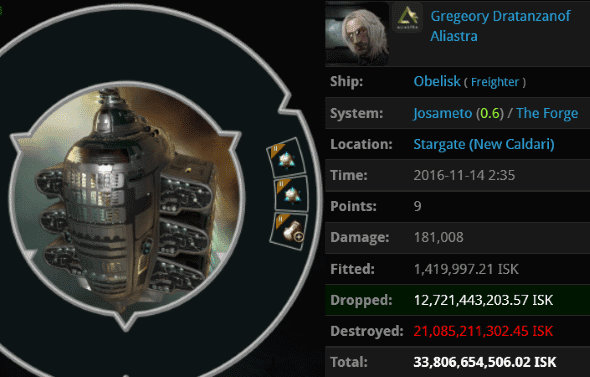 Incredibly, Gregeory Dratanzanof lost an even more expensive freighter this week. His 33.8 billion isk highsec super caught the attention of every freighter ganker in the vicinity. zKillboard's front page was soon adorned with the elite PvP killmail earned by Agents Turkey Baster, The O'Reilly Factor, Fabulous Andy, big brutor five, Ayatola Whoami, Bob Painter, BAE B PEW, Inspector Implant, BoneyTooth Thompkins ISK-Chip, Darnoth, Liz Cadelanne, Morrigan Laima, Ricki Lake Show, Erackthorn, Lawrence Lawton, Elite Highsec PvP, James Poddington, and Mack Poddington. gslayer was mining away in Osmon, a mining system familiar to many gankers. 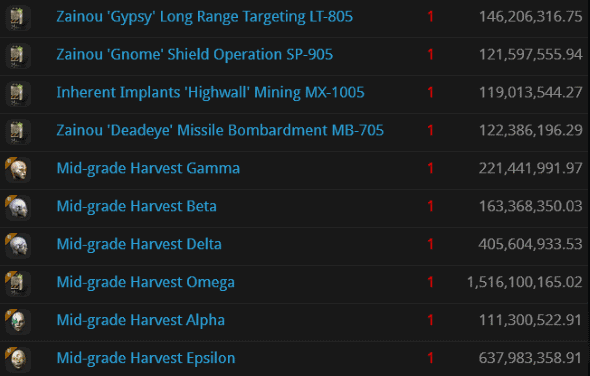 By mining in a Mackinaw rather than a tanked-up Skiff, gslayer left a trail of bot-aspirancy that was soon picked up by Agent Liek DarZ, who followed it right to his 3.5 billion isk set of implants. A Harvest set is always a tragedy in the making. 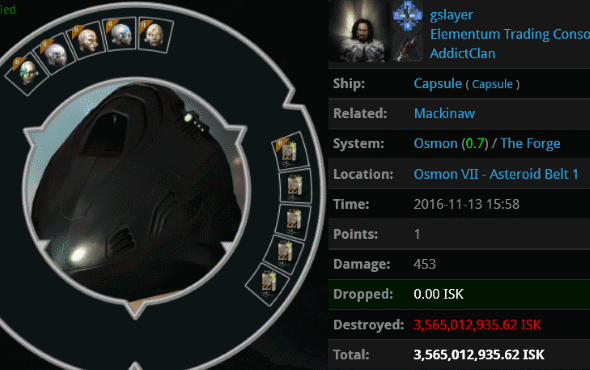 It was a competitive week for podkills; gslayer's was only slightly more expensive than another carebear's 3.4 billion isk pod. However, neither of those was the podkill of the week. Ouch. 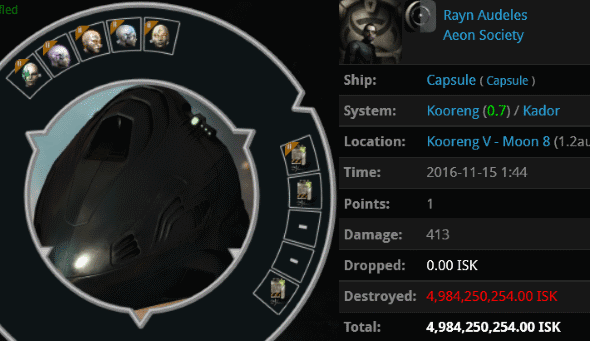 Rayn Audeles lost just shy of 5 billion isk when his pod was ambushed by Agents Ion Fury and Impunitus Umbra. It was a tough day for Rayn. You know that 3.4 billion isk pod I linked a moment ago? It belonged to Rayn's alt, who was ganked a half-hour earlier in the same system. Tsk, tsk. A Harvest set and a Michi's Excavation Augmentor. If you mine every day for a few years, maybe the mining bonus is worth it. Until you factor in the efficiency loss from ganks, that is. I suppose none of Rayn's mining buddies ever told him that. Miners, if you want good advice on how to play EVE, read the Code. Try harder PHag. 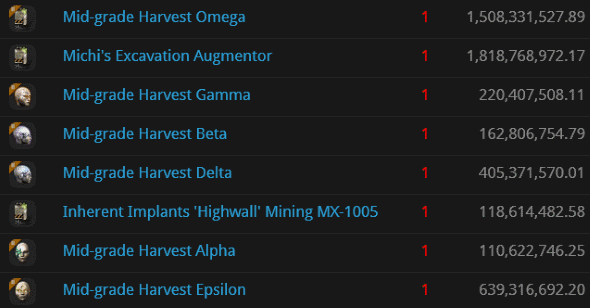 You highsec shitters will never be anything in EVE but targets for real players. But thanks for posting, we like to laught at dumbass highsec PHags. Have you passed your H.O.M.O. classes yet? You sound like a pro. Welcome to Pandemic Horde anti ganking anon116. Your posting alone makes you PHag material. Don't forget to see kip winger or that RL sociopath pedojedus for admission into the Highsec Online Moderator and Operator classes. You are a natural born H.O.M.O.! EVE was designed to punish stupidity. Working as intended. Go back to wow, PHags. Here is a question... No balls to gank all of the new mining Orcas? I would like to see some Killmails on those... But you guys are nothing but a joke. Right I forgot that part. Sorry.